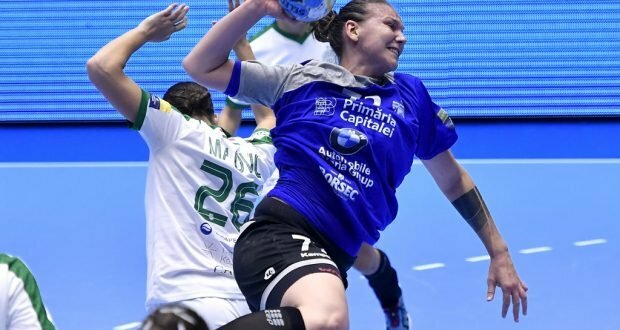 CSM Bucharest women handball team was defeated by the Hungarian team Gyori Audi ETO KC 36-27 (22-15) on Saturday in the first match of Champions League Main Group 2. Crina Pintea was the best player of the hosts, with 9 goals, Gyor scored 22 goals in the first half. 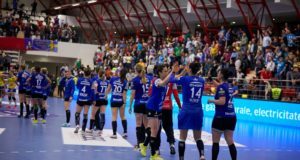 CSMB, who cannot count on Cristina Neagu and Amanda Kurtovic, both injured, until the end of the season, had a poor defense but managed to balance the match after the break, however without threatening the hosts’ victory. In another match played on Saturday, RK Krim Mercator Ljubljana defeated Vipers Kristiansand by 25-24, and on Sunday Thuringer HC will play against FTC-Rail Cargo Hungaria Budapest. In the standings, Gyori Audi ETO KC is first with 10 points, followed by Vipers Kristiansand – 6 points, CSM Bucharest – 6 points, RK Krim Mercator – 3 points, FTC-Rail Cargo Hungaria – 2 points, Thiringer HC – 1 point. CSM Bucharest will play the next match on February 2 at home against Krim Mercator Ljubljana.